We have new product arrivals in the Punch Needle Kits section of the store. Punch needle embroidery is a creative needleart craft that is easy, fun, and relaxing. Punch needle kits make it easy for beginners to get started punching! 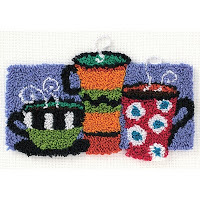 Coffee & espresso drinkers will enjoy the Cup of Java Punch Needle Kit from Dimensions, shown here with swirling steam rising from colorful cups of the hot beverage. 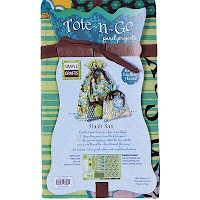 Kit includes cotton embroidery thread, printed foundation fabric, and easy instructions. In punch needle embroidery, small loops are formed to create colorful designs. With Dimensions punch needle kits, there's no need to transfer patterns - the back side of the fabric is preprinted with the outline of the design, so you're ready to start stitching - right out of the box! 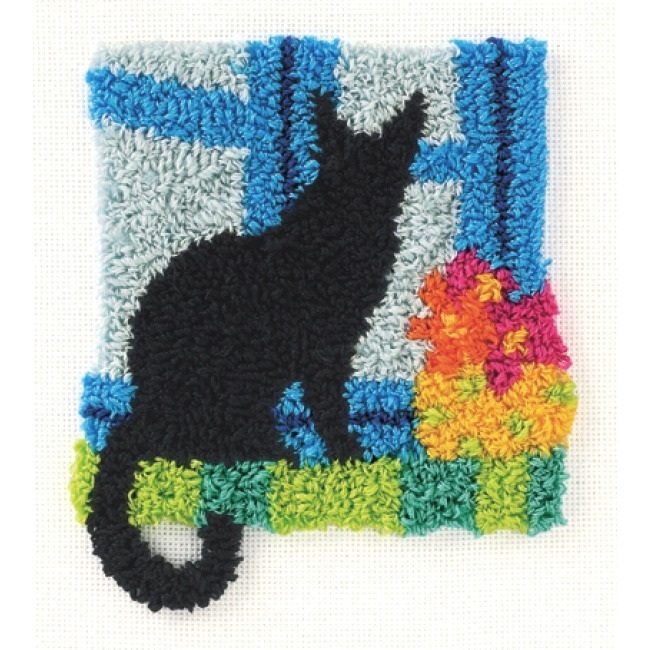 The Kitty in Window Punch Needle Kit is perfect for cat lovers! You'll need an embroidery hoop to hold the fabric taut while punching. Select an embroidery hoop diameter that fits the entire punch needle design. The stitches are worked from the back of the fabric using a punch needle tool. If you're a beginner, you'll need to spend a little time upfront learning how to thread your punch tool. Threaders and threading instructions are provided with the punch needle tool. The Sweet Dream Lamb Punch Needle Kit is a great choice for baby's nursery! 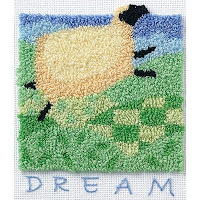 Step-by-step instructions for completing your punch needle project are included with the kit. You'll learn to use your punch needle tool to create small loops on the front of the fabric. Using your punch needle tool takes some practice, but once you get started, you'll find your own rhythm. Frame your completed needleart or use to embellish a pillow, tote bag, or clothing. Visit the Punch Needle Kits section to see our complete selection of kits for beginners & experienced crafters. 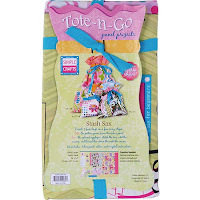 Explore a creative & colorful selection of needleart craft kits at Weekend Kits and be ready to create something new on your next Weekend at Home! Simple DIY Quilt Kits - Create a Designer Lap Quilt! 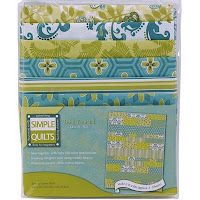 See our newest selection of Simple Quilts in the Quilt Kits section of the store. DIY Quilt Kits from Fabric Editions make it easy to create an accent quilt, sofa throw, or designer lap quilt. Choose from a variety of quilt patterns & color options to coordinate with any home decor! The Blue & Green Lap Quilt Kit includes a trendy collection of 100% cotton quilting fabrics, enough for the quilt top, backing, and binding. Use as a lap quilt to stay warm on cool evenings. Modern colors & patterns add a look of casual elegance to your home decor. Throw over a sofa for a stylish designer look or fold up at the end of a bed for a splash of accent color. Easy full-color instructions provide step-by-step guidance for cutting the fabric pieces and assembling the quilt. Instructions also explain how to care for the completed quilt. Simple Quilts use simple quilt patterns, making them an easy quilting project for beginners. The Pink & Brown Lap Quilt Kit uses a random block quilt pattern. This is an ideal quilt kit for teaching teens & adults how to quilt. Quilting is a life skill that brings years of enjoyment. Getting started is easy & fun with do-it-yourself quilt kits! 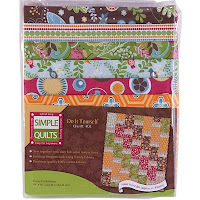 The Simple Quilts quilting fabric kits are also a great time saving option for experienced quilters looking to jump start their next quilting project. All of the fabrics are professionally selected to coordinate perfectly for designer results. The Funky Lap Quilt Kit uses the cobblestone quilting pattern. The finished quilt size is 49" x 56". This is a quick & easy quilting project for intermediate level quilters to make a beautiful quilt in a weekend. You'll need basic quilting & sewing supplies to complete your lap quilt project. Supplies needed include a sewing machine, iron, coordinating thread, quilting pins, and batting. Rotary cutting tools, including a rotary cutter, cutting mat, and acrylic ruler are recommended. 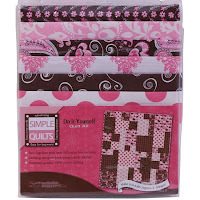 Visit the Quilt Kits section of the store for details on the Simple Quilts DIY Quilt Kits and to see our complete selection of modern quilting kits for beginners & busy quilters! Stop by Weekend Kits today and be ready to create a designer lap quilt on your next Weekend at Home!